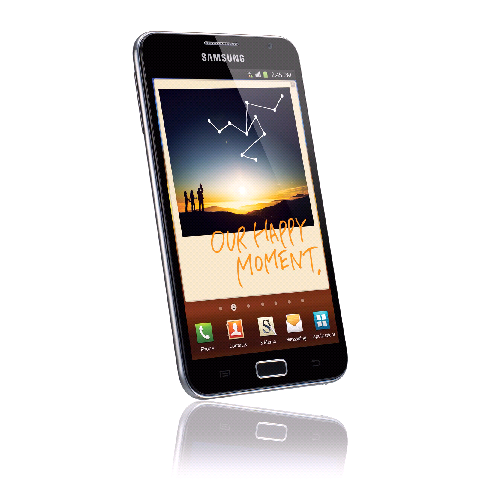 Samsung has just recently announced the Galaxy Note, an Android smartphone tablet hybrid. With a large 5.3" Super AMOLED screen with 800x1280 resolution, the display on the Note is even more spacious than my Galaxy S II. Seriously it looks tiny in comparison. The Galaxy Note will ship with a built in stylus for, you can guess it, note taking. With should be handy as the large screen is crying out to be scribbled and prodded along via optimised apps such as S Planner and S Memo. Samsung will also be making the API available to third party application developers so future apps will take advantage of the pen. Clearly Samsung is betting on the S Pen to succeed at taking Moleskine users like me to the 21st century. Proving that Samsung will be marketing this device as a phone, the Note will run on Android Gingerbread and not the tablet orientated Honeycomb. Powering it is the same Samsung Exynos system on chip that runs on the Galaxy S II but with a higher 1.4GHz clock speed. It will be available in either 16 or 32GB flavours. The Galaxy Note will ship with a generous 2500 mah battery. Despite that and the large screen the Note weighs in at only 178 grams and has a thickness of less than 10mm. Keep an eye out on this site as hopefully I will be able to obtain one for review. Comments on it so far have it as a credible rival to the iPad so we'll wait for your review copy. Alternatively you could hang about in a bar and wait for an employee of Samsung to leave it on the bar - it's there next to the iPhone5!